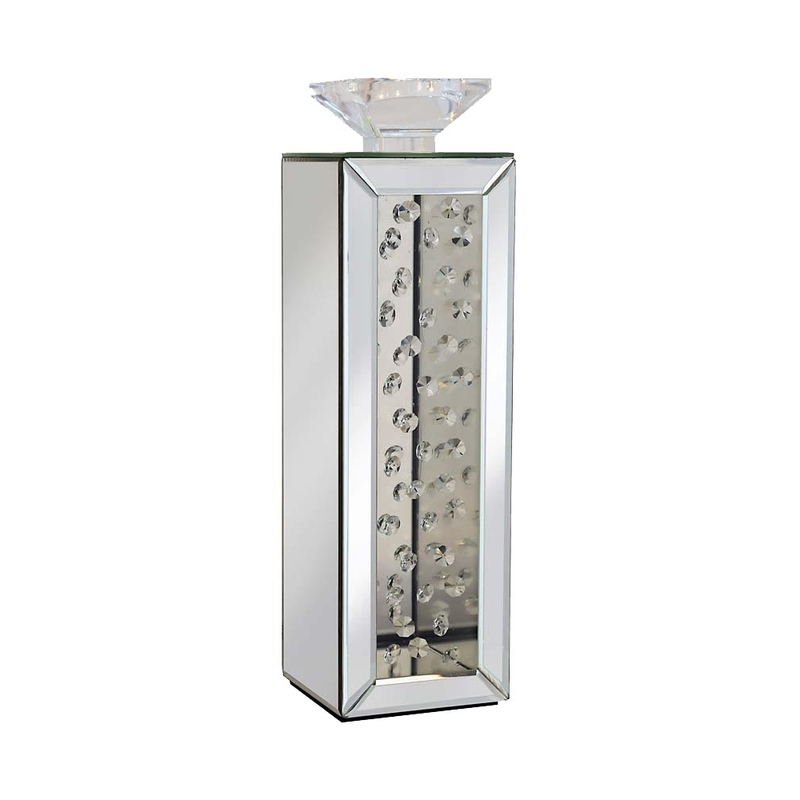 This is a truly beautiful mirrored candle holder with a modern feel. This has a large amount of detail on the front of the candle holder. It is a beautiful design with gem detailing on the front of the candle holder. This is an easy way to add a modern spin to your home. It is part of the Rhombus range mirrored candle holder, made from mirrored glass.